Showcase athletes and artists alike. 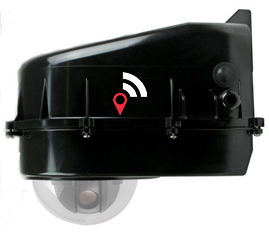 LocalLive cameras are permanently installed at your venue, designed to withstand rain and snow. Real optical zoom allows for extreme closeups with no pixelation. Remote controlled cameras can follow any sport, all, levels, as many events as you want. Do you love sports, have a gaming computer, a game controller, and solid Internet access. Produce games from home for extra cash. Join our nationwide production crew. Just walked in kitchen to find my son (JV Player) watching Varsity ... on LocalLive Have to admit it’s fairly AWESOME!!! Just wanted to share my enthusiastic appreciation for the live streaming of the wrestling matches!!! It's like I'm there, instead of working on my budget numbers. 😉 - THANK YOU!! !